SHOWCASE THE BRAND VALUE OF YOUR HOTEL - Let your visitors know about your hotel, your rooms, offers and/or services such as travel desk. CREATE & MAINTAIN CAMPAIGN PAGES - Create unique campaign pages to capture leads of corporare companies, link them with analytics or pixel to track lead source & user activity. STORE & NURTURE LEADS & SALES - Your sales team will be able to contact the corporate leads, contact them & schedule follow-ups. SUPPORT YOUR CUSTOMERS ONLINE - Your customer support team will be able to assist your customers and visitors on the go using our live chat. VIZCONN HBE INTEGRATION - Maintain your inventory, set dynamic pricing for your rooms and also accept payments online. 1. Your purpose to create or re-design your website will be received and throughly analysed by experts. 2. We will assist you in choosing the right template and customize it based on your needs. 3. Our hosting team will set up the CMS and associated add-ons such as SSL, if you have purchased any. 4. 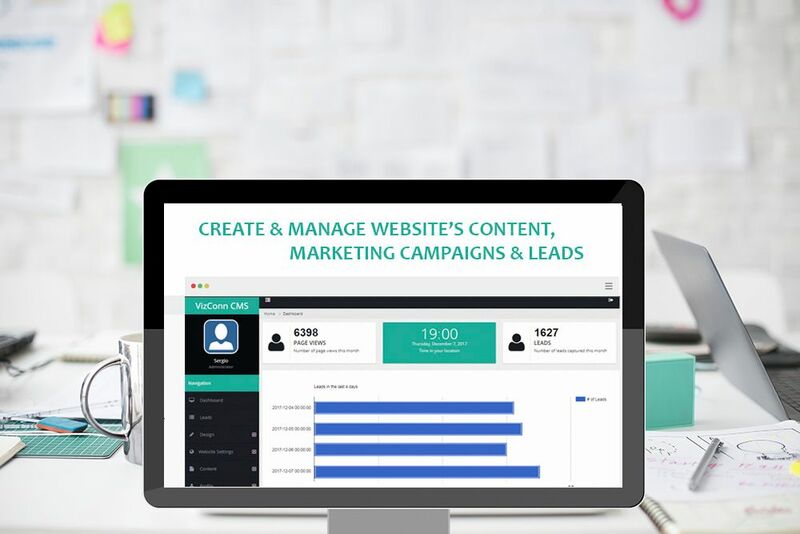 You can launch your website, manage your website's content and marketing campaigns. You can do much more with our sophesticated CMS, which is explained below with the plans we offer. Thanks for filling out the form! We have received your message and we will get back to you shortly!